Newark at Cooperstown, 5:00 p.m.
Oneonta at Glens Falls, 7:00 p.m.
*Five days left in the regular season, here is where we stand on who has what remaining..
*Amsterdam set league and franchise records yesterday with its doubleheader sweep of Glens Falls. The Mohawks, with 33 victories, have the most wins of any PGCBL team in the two-year history of the league and the most regular season wins in franchise history. The Mohawks have four regular season games remaining and then will start the playoffs next Friday night. *In his last two league games, Chandler Shepherd (Kentucky) has allowed a grand total of four hits. Shepherd tossed a one-hit shutout over eight innings in a win at Mohawk Valley last Thursday night. The lone hit he allowed was an infield bunt single to Chris Cruz (Cornell). Last night, Shepherd tossed a three-hitter in a seven-inning complete game. He carried a no-hitter into the sixth inning for the second start in a row and again lost it on an infield single, this time to Danny Brennan (Saint Louis) of Glens Falls. For the season, the 2011 Chicago White Sox draft pick is 7-0 with a 1.31 earned run average in eight starts. He has allowed just nine runs on 29 hits, walked 12 and struck out 50. *Chandler Shepherd (Kentucky) also set a new league record last night with his seventh victory. He surpassed the league high of six set last year by Newark's Dominick Ruscitti (Kutztown). *Amsterdam tied Newark last night for the most walk-off victories this season with three. Two of Amsterdam's three walk-off wins came against Mohawk Valley on hits by Zak Colby (Faulkner). Friday night, it was fellow middle infielder Giuseppe Papaccio (Seton Hall), the All-Star Game MVP, coming up with the winning hit against Glens Falls in the 11th inning of the first game between the Mohawks and Golden Eagles. Amsterdam's walk-off win was the 13th walk-off win in the PGCBL this season. *Another list added to last night - the multi-home run game list. Elmira's Zac Bellinger (VCU) hit a pair of home runs to center field in Elmira's win over Cooperstown at Doubleday Field. Bellinger blasted a three-run belt in the fourth inning and then added a two-run swat in the eighth. Bellinger is the sixth player to hit two home runs in a game this season and the second Pioneer to accomplish the feat. Teammate Steven Patterson (San Joaquin Delta) lofted two home runs in a game at Newark earlier this year. Coincidentally, Patterson also homered against Cooperstown on Friday in the same inning that Bellinger bombed his second of the night. *Elmira has been involved in four of the six multi-home run games this season. Opposing players have twice hit two home runs in games at Dunn Field while the Pioneers have both of their multi-home run games on the road at Newark and Cooperstown. *Elmira has scored 12 runs in three games this season. Each time Elmira has reached the 12-run mark, it has been away from home. *According to the Elmira Star-Gazette, there was light damage to Dunn Field on Thursday due to the severe storm that rolled across the Southern Tier. The Gazette reports that the left field fence was blown back and the roof to the women's rest room was blown off. The Pioneers are scheduled to play their final home game on Monday night against Mohawk Valley. *There were several great pitching performances on a low-scoring Friday around the league. Starting in Amsterdam, Chandler Shepherd (Kentucky) tossed a three-hitter in a seven-inning complete game versus Glens Falls and Rocky McCord (Auburn) struck out 11 over seven innings in the opener in a no decision. The night cap of the twin bill saw Neil Fryer (Siena) and Jake Doller (Kansas State) combine on a five-hitter in the losing effort. In the Capital District, Albany's Kasceim Graham (UAlbany) spun a five-hitter for eight innings and struck out six against Mohawk Valley's Evan Davis (Marist) who allowed two runs, one earned, over 7.2 innings and struck out four. In Otsego County, Elmira's Justin Bhatti (Norfolk State) limited host Cooperstown to two runs on seven hits through six innings and he fanned six. On the opposite side of the state, Newark's Cullen Babin (Delta State) twirled a four-hit shutout for eight innings in a 5-1 win over Watertown. *Special mention does need to be made of Oneonta's Colter Bostick (Midland). Normally we don't report on exhibition games however this merits a note. Bostick, in an exhibition game against the New Rochelle Athletics, pitched a complete game no-hitter. It was the first no-hitter for the Oneonta Outlaws in their time at Damaschke Field. The last no-hitter for the franchise came in 2007 when Mike Fiers of the then Saratoga Phillies struck out 16 in a complete game no-hitter against the Amsterdam Mohawks at Shuttleworth Park. *Another pitcher worth noting is PGCBL all-star Trevor Lacosse (Bryant). The rising sophomore from Watervliet, N.Y., recorded his 17th appearance of the summer last night at home against Mohawk Valley. Lacosse allowed a pair of hits but converted his league-leading eighth save. Lacosse is 3-0 with a 0.00 earned run average. He has allowed four runs total though all have been unearned. He has 39 strikeouts and 16 walks. Opponents against the Albany reliever have managed just one extra-base hit. *Friday was kind of an interesting night for Brandon Matthews (Yavapai) of Glens Falls. In the opening game of a doubleheader with Amsterdam, Matthews came on in relief. Matthews entered in the ninth and tossed back-to-back scoreless frames before Amsterdam came away with the winning rally in the 11th. The utility man got his revenge in the second game. Matthews came on as a pinch hitter in the seventh inning of the night cap with runners on second and third and one out. Matthews smacked a solid single into center field that scored two runs. *The opener of the Amsterdam-Glens Falls twin bill turned into a battle of the bullpens in the later stages. Amsterdam's Dennis Buckley (Hudson Valley C.C.) dueled with Jordan Keysor (Skidmore) and Brandon Matthews (Yavapai) of Glens Falls. Buckley came on in the eighth and served up four innings of scoreless, one-hit relief. Keysor entered in the fifth and worked 3.1 shutout innings and then Matthews managed to hold Amsterdam scoreless for his first two frames. *Newark's Joe Landi (Rhode Island) likes hitting against Watertown. The Pilots' shortstop did not hit a home run during the spring at the University of Rhode Island. This summer, Landi has two; both of which have come against the Wizards. Landi hit a three-run home run to edge out Watertown 8-6 in a game on July 22 and then last night he swatted a second three-run home run as part of a five-run fifth. *While Joe Landi (Rhode Island) has hit well versus Watertown, Brandon Cipolla (Holy Cross) has done well against Newark. Earlier this week, Cipolla hit a two-run rocket over the Chain Monster in left field off of Newark closer Mark Scott (San Joaquin Delta) in the PGCBL All-Star Game. Last night, the rising junior from the College of the Holy Cross clubbed a solo home run in the ninth against the Pilots at Colburn Park. Cipolla has hit six home runs this summer, five in league games. *Elmira's game against Cooperstown on Friday may have been sponsored by the number three. Elmira used four three-run innings to compile 12 runs. The Pios scored three times in the first, fourth, fifth and ninth innings against Cooperstown. Three Elmira swingers had a three-hit game, four players recorded multiple runs and six had at least one RBI. *Albany against Mohawk Valley on Friday night pitted a fly ball pitcher against a ground ball pitcher. Albany's Kasceim Graham (UAlbany) recorded 12 fly outs and just four ground outs over eight innings while Evan Davis (Marist) induced 13 ground outs and just six fly outs.Graham also faced just six men over the minimum and he recorded one pick-off. Another runner on first attempted to steal on a pick-off move by Graham and was put out in a run down. *With a win last night, Nick Davey's Albany Dutchmen reached the 20-win mark for the first time in franchise history. The team has improved each season that Nick Davey has been the head coach. Over the last three years, Davey has skippered his Dutchmen to 54 victories. Albany earned 16 wins in Davey's first season and showed a five-win improvment from the previous year. That number rose to 18 last season and with now five days left in the 2012 campaign, Albany has earned 20 wins which is also a franchise record. The Dutchmen are currently bidding for their first ever postseason appearance. *Weather permitting, four games on the schedule today as we sprint for the finish line in 2012. *The biggest games of the day come in Little Falls and Glens Falls where the two home teams - the DiamondDawgs and Golden Eagles - look to hang on to their current top four slots. Beginning at Vet's Park, Mohawk Valley opens the night tied with Oneonta for fourth place in the league standings after last night's loss to the Albany Dutchmen at Bob Bellizzi Field. The home-and-home series between the Dutch and Dawgs shifts to Exit 29A on the New York State Thruway for a Saturday night clash at Veterans Memorial Park. Albany has won two in a row over Mohawk Valley since dropping a doubleheader to the Dawgs at "The Bob" on July 11. Overall, the Dutch have taken three of the last five from MV. The last time Albany visited Mohawk Valley; the Dutchmen came away with a 10-8 win in 10 innings. Albany hasn't won back-to-back games since July 13-14 against Elmira and Glens Falls. The Dutchmen are 1.5 games back of Mohawk Valley but they do have a game at hand. Meanwhile, the Mohawk Valley tailspin has seen the team go 1-7 in its last eight games with a lone win versus Oneonta. Five of those games have been one-run games in which the Dawgs are 1-4. The Dawgs have not plated more than five runs since their 11-game win streak ended. Former Major League pitcher Tommy John will coach first base tonight for the DiamondDawgs. *It's only natural that playoff positioning be on the line when the Glens Falls Golden Eagles and Oneonta Outlaws get together. 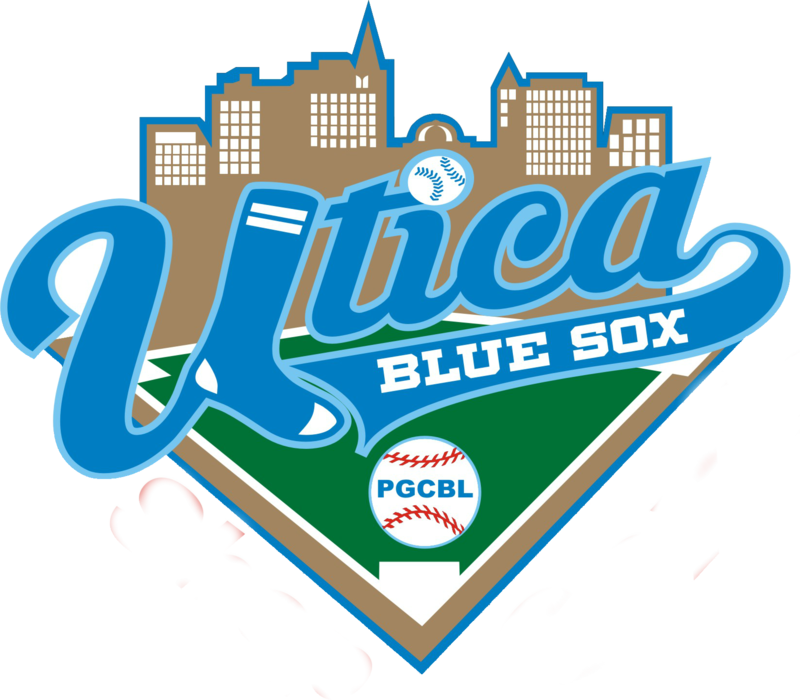 The two teams have been battling over playoff spots since both franchises were born in 2004; the Outlaws were known as the Saratoga Phillies from 2004 through 2009. Oneonta is now tied for fourth with Mohawk Valley but the DiamondDawgs have the head-to-head tiebreaker advantage. With last night's sweep at the hands of Amsterdam, Glens Falls has dropped precariously into third place, just a half-game up on both Mohawk Valley and Glens Falls and two games ahead of Albany. Though, the Eagles are just one game behind second-place Newark. Tonight's game begins a home-and-home series in the final five days between the Outlaws and Eagles that will conclude at East Field on the final night of the regular season. 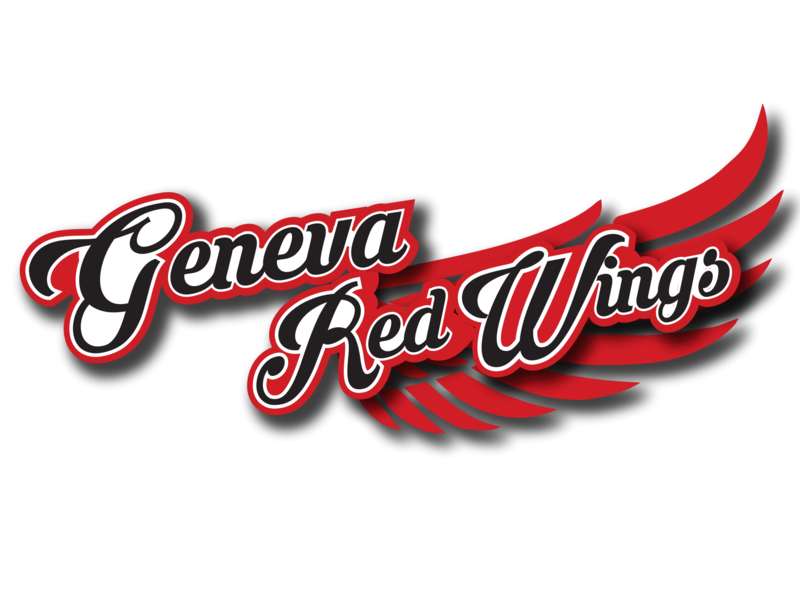 Glens Falls leads the series 3-2 though Oneonta recently came away with a 6-3 win over Glens Falls at Dasmachke. The Orange and Black are winless in Glens Falls this season; the crowds for one of the games in Hometown U.S.A. was 3,051, a Glens Falls franchise record. Tonight will be the first home game for the Eagles since July 22. John Mayotte's team is 5-0 in its last five home games and 14-6 at home this season. The Outlaws are 9-11 on the road though they did defeat Albany, 6-4, in their last road contest on July 25. 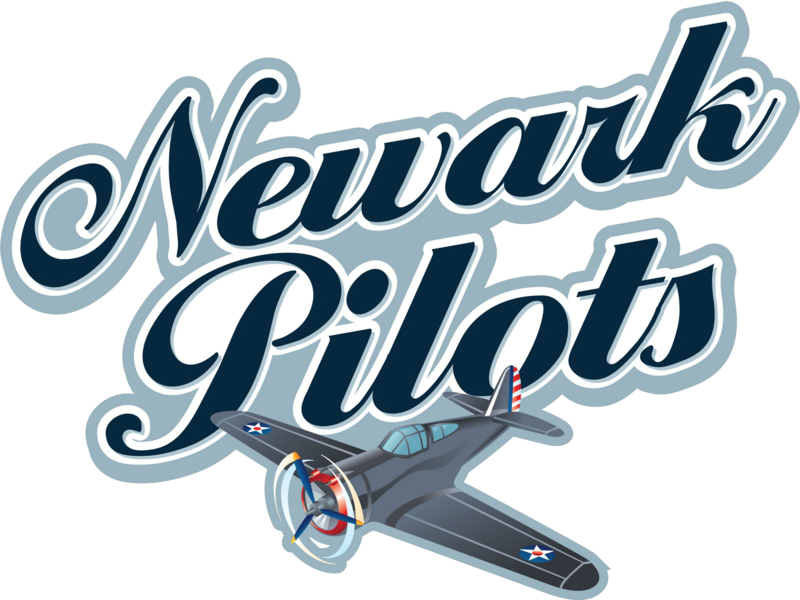 *The defending league champion Newark Pilots make their first trip to Cooperstown since June 21. On that day, the Pilots and the Hawkeyes split a pair of seven-inning games in a doubleheader. The Pilots, who punched their ticket to the PGCBL Championship Series last August at Doubleday Field, can just about synch up a playoff spot with a win in Cooperstown this afternoon. The Pilots have a one-game lead on third-place Glens Falls and are 1.5 games above fourth-place Mohawk Valley and Oneonta. However, Cooperstown has had the upper hand on its former PGCBL West rival leading the season series 3-1. Cooperstown scored six-unanswered runs in the top of the ninth inning at Colburn Park on July 18 to earn a wild 10-8 comeback win over the Pilots. Newark's lone victory in the series was based on a seventh-inning rally at Cooperstown on June 21. All four games have been decided by two runs or less. The surging Pilots are 9-3 in their last 12 games and their last four wins have been without regular starters Sean Osterman (St. John Fisher) and Josh Perez (Miss. College) who were injured in a loss at Amsterdam on July 20. In their last four wins, the Pilots have reeled off 24 runs while opponents have managed just 13. Cooperstown continues to hit the ball well overall despite a four-game slide. The Hawkeyes have managed at least seven hits in every game since being five-hit by Watertown on July 16 at home. Cooperstown has smacked out 21 hits in its last two games at Doubleday Field. The two teams are 2-2 in their last four at Doubleday Field. *A Saturday night showdown in the North County between Watertown and Elmira rounds out the Saturday schedule. With five days left in the season, the Wizards and Pioneers are deadlocked for seventh place in the league standings. Watertown does have a head-to-head tiebreaker with Elmira. The Wiz Kids are 5-2 versus the Pioneers. 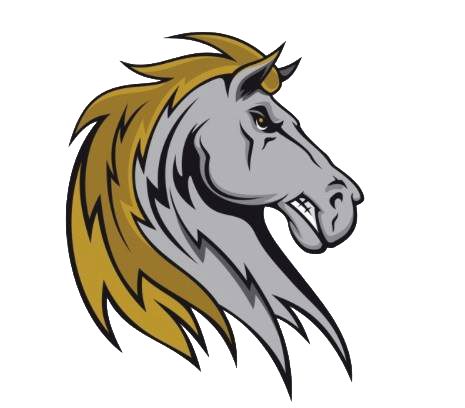 It should be noted that Watertown went unbeaten at Dunn Field this season while both the Pioneers' wins have come at the Alex T. Duffy Fairgrounds. In their last meeting, Watertown pulled out a 5-2 win over Elmira in the Twin Tiers. 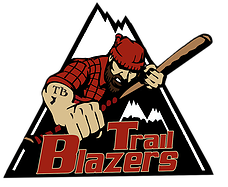 The last time the Pioneers ventured to the PGCBL's northern-outpost, they put together a ninth-inning rally that fell just short in a 6-4 defeat. 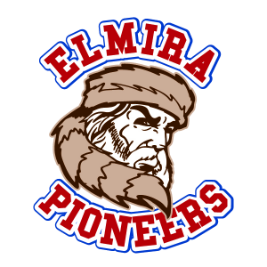 Elmira scored three in the ninth but could not push across the tying tallies. Elmira's 12 runs yesterday tied a season high and the Pios have put up at least 11 runs on five occasions. The Pioneers have hit double digits twice in the last eight days. The Wizards play their first home game tonight since July 22, an 8-6 loss to visiting Newark. Watertown has scored 36 runs in five wins against Elmira though the Pioneers put 12 at the "Duffy Dome" on June 19.